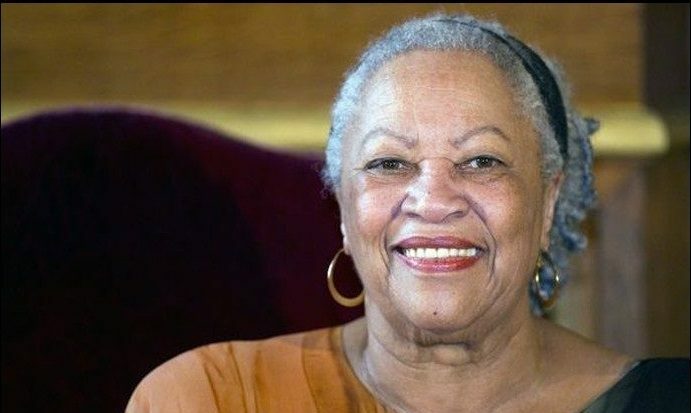 In the spring of 2015, literary and major media outlets eagerly discussed novelist Toni Morrison and her new book, God Help the Child, her eleventh. Morrison is not a southerner, yet the South, and even Georgia, are all over her books. While we may not exactly claim the Pulitzer Prize winner and Nobel Laureate of Literature as a Georgia writer, Morrison has significant Georgia roots and so, too, do many of her characters. We can recognize our stories in hers. We can read Morrison’s renderings of Georgia, drawn from her roots and imagination, in several of her novels. Cholly Breedlove, Pecola’s father in The Bluest Eye (1970), recalls traveling to Macon to find his father; in Song of Solomon (1977) Macon Dead Sr. is shot by white men claiming his Georgia peach orchard; Paul D, a character in Beloved (1987), works on a prison farm in fictional Alfred, Georgia. More recently, Frank Money, a Georgia veteran of the Korean War, tells his story in Home (2012). Frank—traveling across the country to carry his brutally abused sister home to the fictional Atlanta suburb of Lotus—journeys into the dreams and nightmares of the past. “Home” is where both Georgia’s racism and her beauty heal the traumatized brother and sister. Georgia is also home to a special bench—placed by the Toni Morrison Society—intended as a space for reflection on African American history. Part of the society’s “Bench by the Road” initiative, the bench is located outside the First Congregational Church in downtown Atlanta.